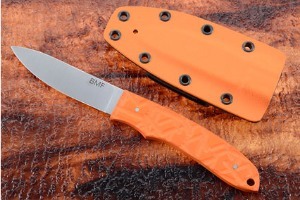 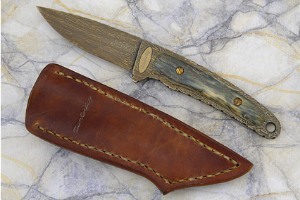 Engraved Window Frame Folding Boot Knife by Rick Dunkerley, M.S. 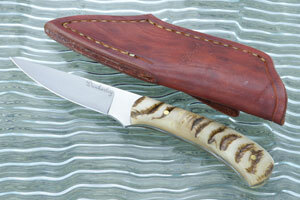 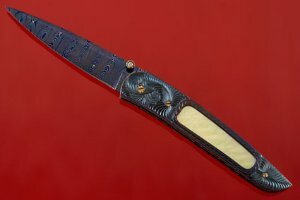 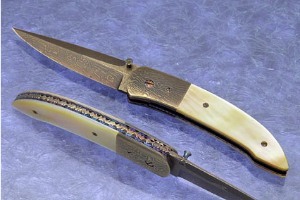 Mosaic Folder with Walrus Ivory by Rick Dunkerley, M.S. 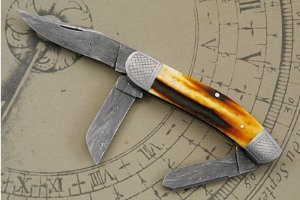 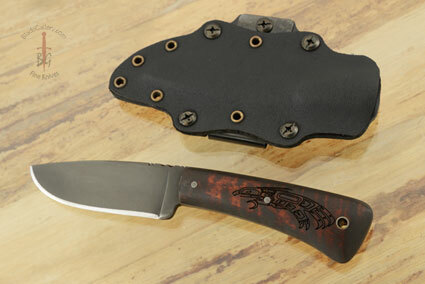 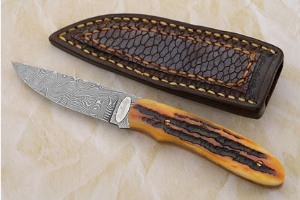 Rick Dunkerley began making stock removal knives in 1983 and moved to forging knives in 1992.Working along with the other "Montana Boys" Rick has been extremely influential to the makers of folding knives throughout the United States. 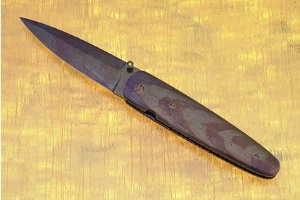 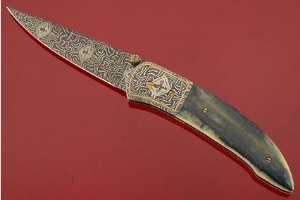 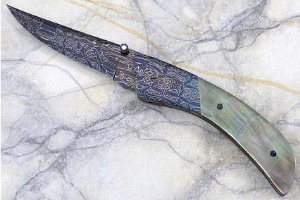 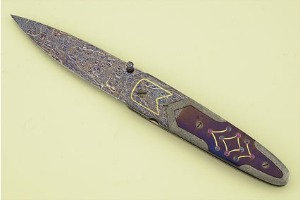 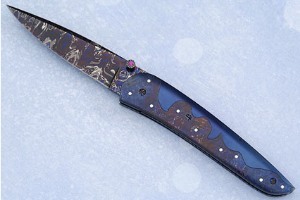 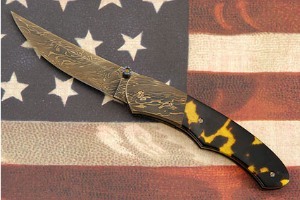 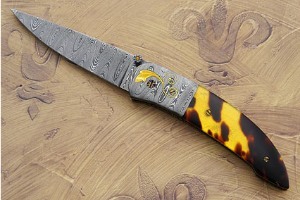 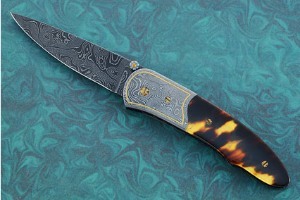 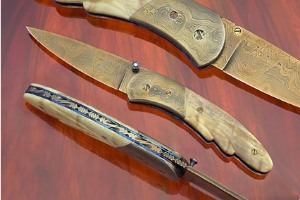 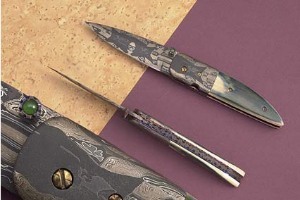 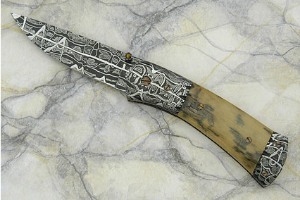 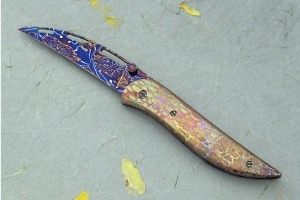 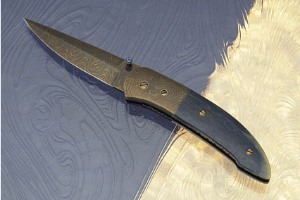 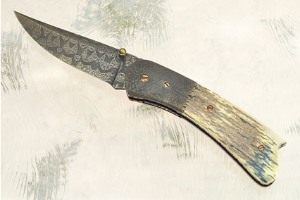 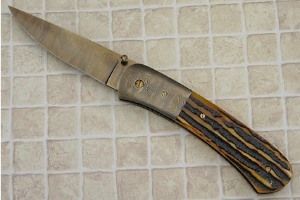 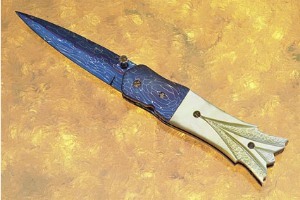 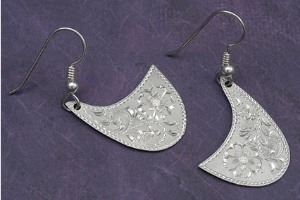 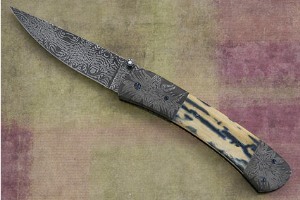 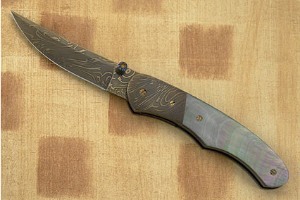 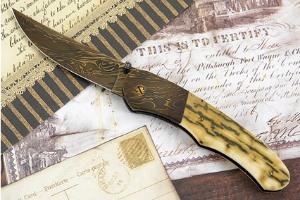 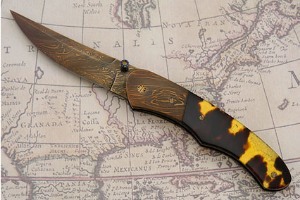 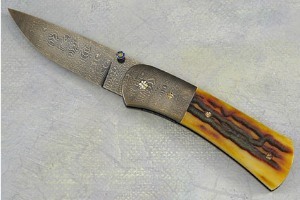 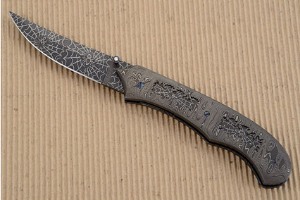 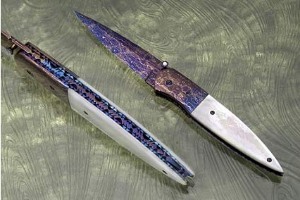 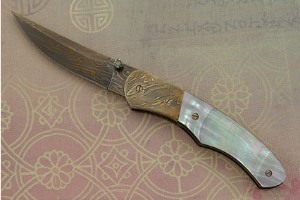 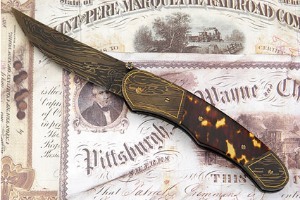 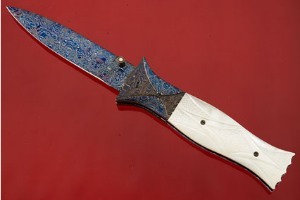 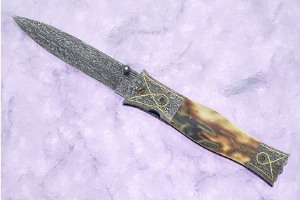 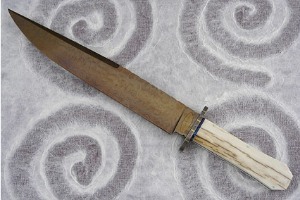 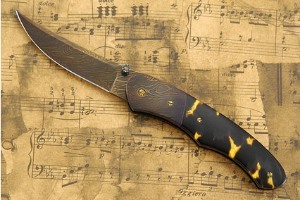 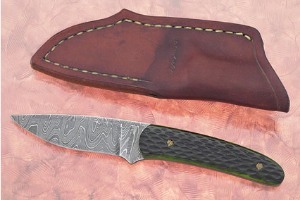 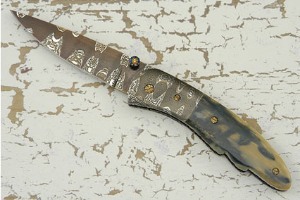 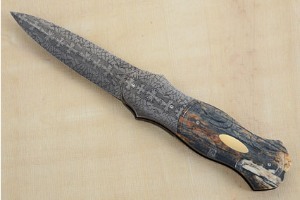 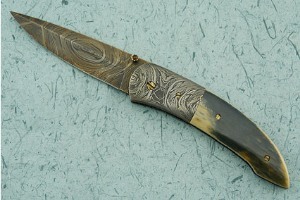 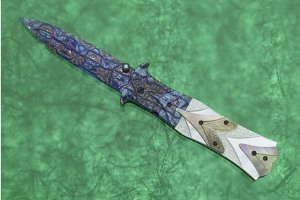 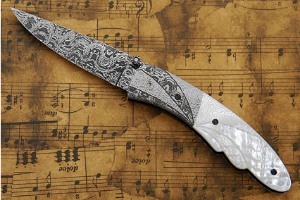 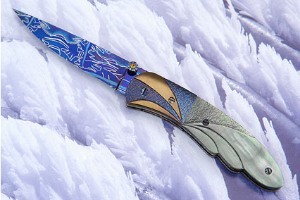 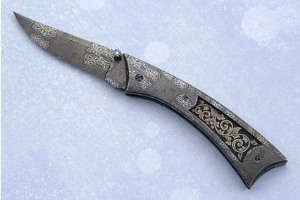 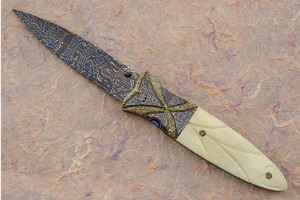 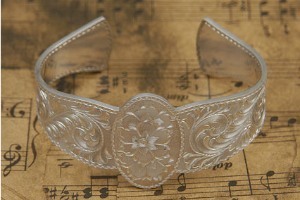 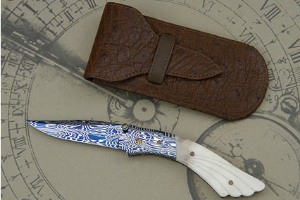 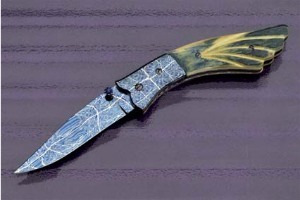 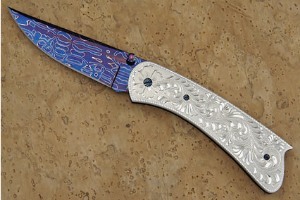 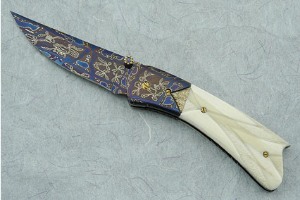 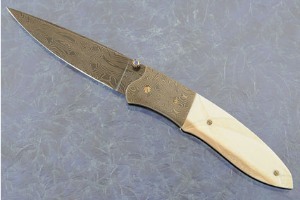 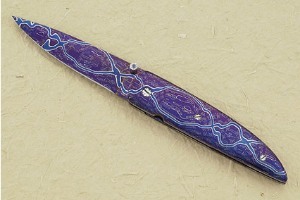 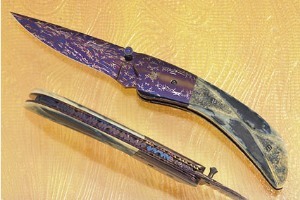 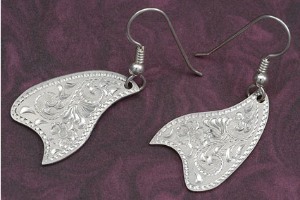 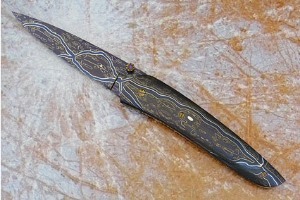 He specializes in one-of-a-kind mosaic Damascus folders, though he also makes an occasional fixed blade. 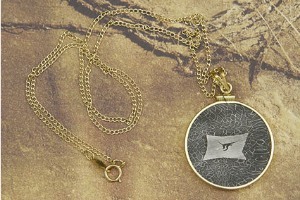 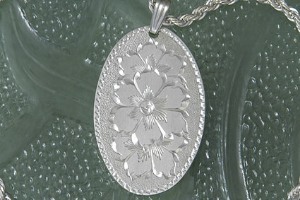 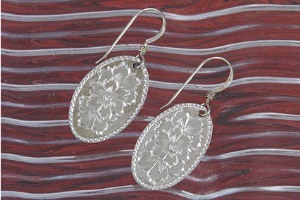 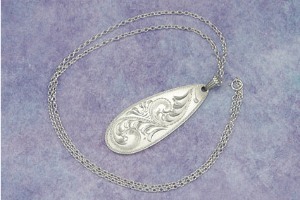 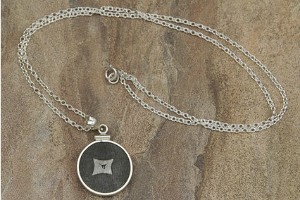 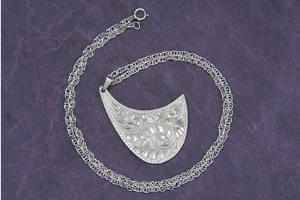 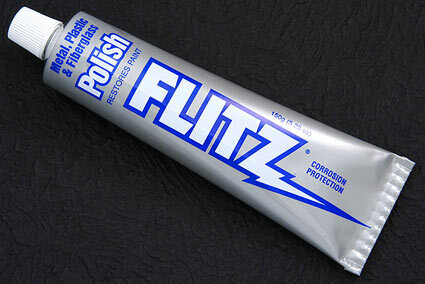 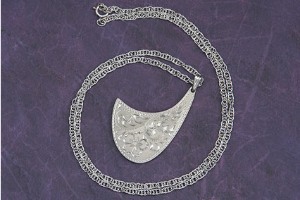 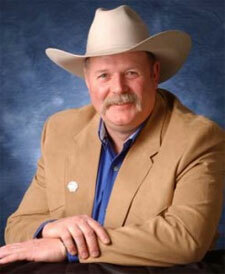 Rick was born in Sharon, Pennsylvania, and graduated from high school in Hermitage, PA in 1977. 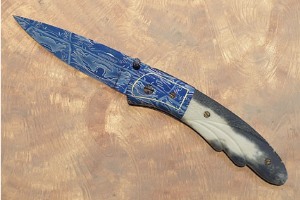 Rick then spent four years in the U. S. Air Force, stationed mostly at Lackland Air Force Base in San Antonio, Texas, where he trained guard, drug, and bomb-sniffing dogs. 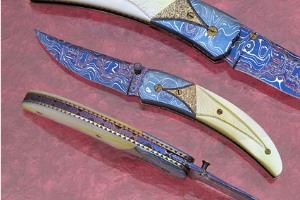 Rick first started making knives in 1984, and after moving to Montana in 1985, his interest in the craft increased. 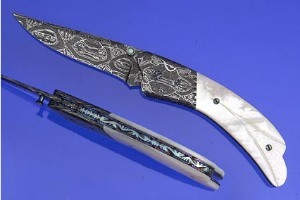 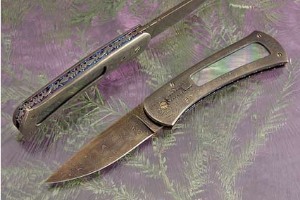 He made stainless steel hunters and utility knives until 1991, when he began forging carbon steel knives and creating damascus steel. 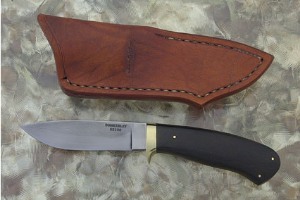 Rick joined the American Bladesmith Society a year later. 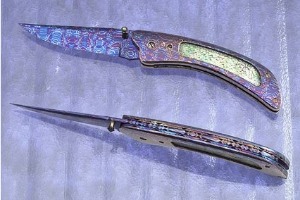 Since receiving his jouneyman smith rating in 1995, Rick’s main focus has been damascus steel, particularly mosaic and composite bar blades. 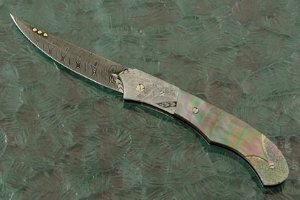 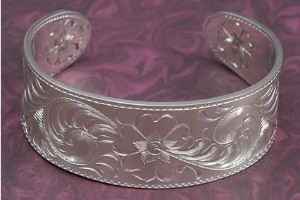 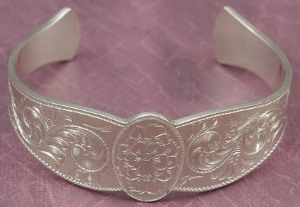 Rick attained the American Bladesmith Society Mastersmith rating in 1997, and in 2002 was appointed to the Board of Directors. 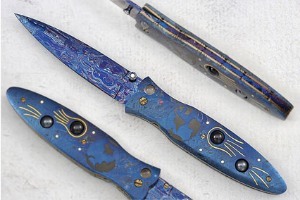 He has been a full-time knifemaker since 1996, except for two months each fall that he operates as an outfitter in Montana’s Scapegoat Wilderness. 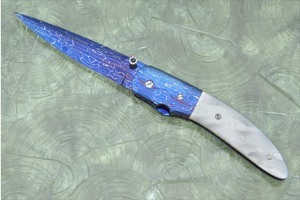 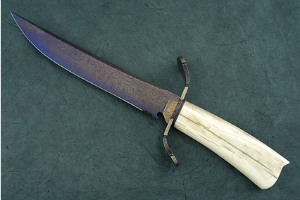 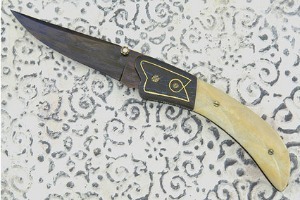 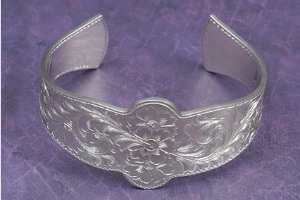 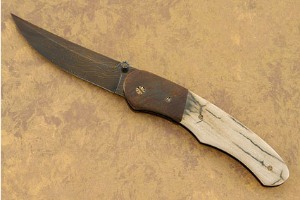 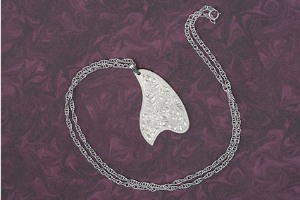 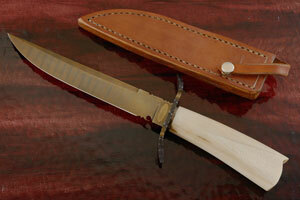 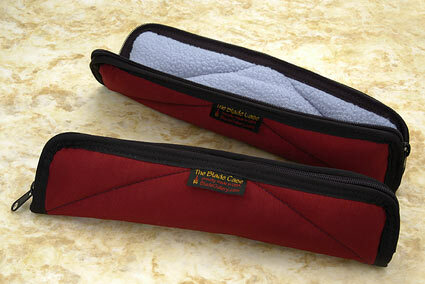 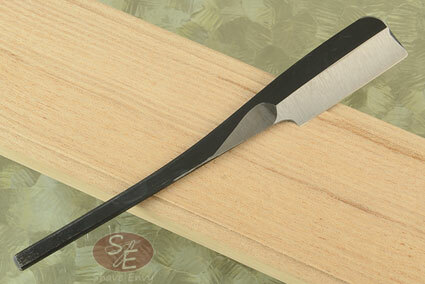 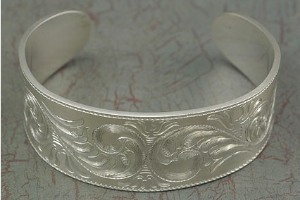 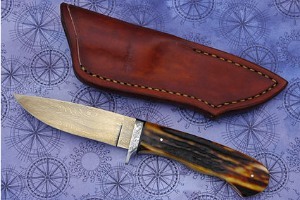 Rick now specializes in damascus folding knives, and also enjoys making Bowie or Persian style straight knives. 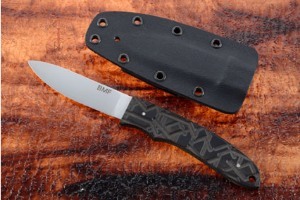 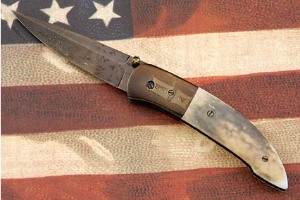 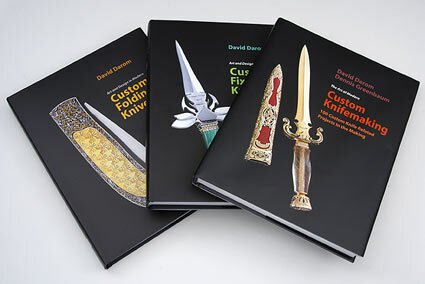 Rick’s knives have been featured with photos and articles in knife publications worldwide, including appearances on the covers of Blade Magazine and Knives Illustrated. 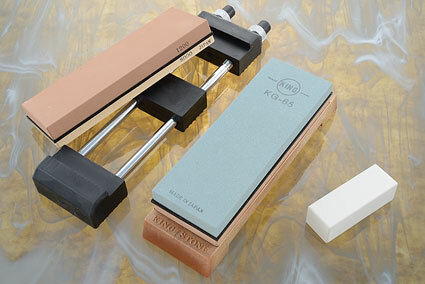 0.203125 0 203.125 0 About to display products. 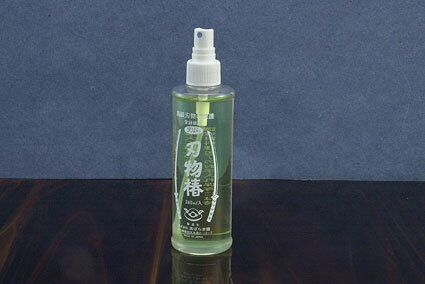 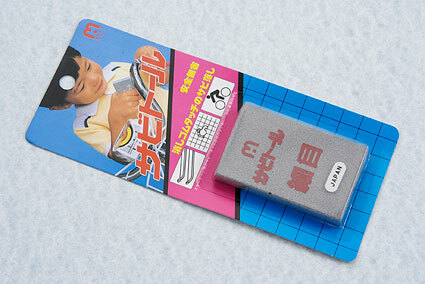 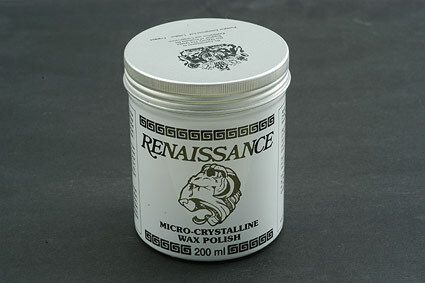 0.453125 0.25 453.125 250 Products Display completed. 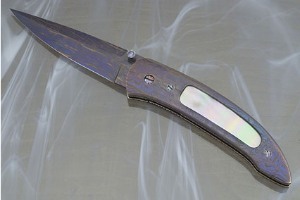 0.46875 0.015625 468.75 15.625 Trailer Started.